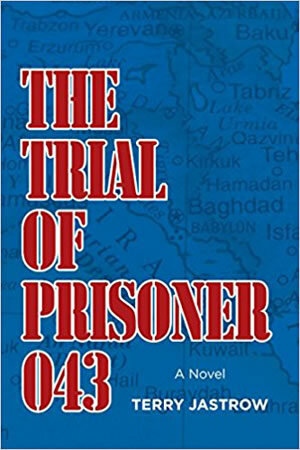 FanSource is pleased to offer copies of Terry Jastrow's book The Trial of Prisoner 043. Have a book you would like to have promoted on our website, or need help with designing and publishing your book? Contact us at info@fansource.com. Aug 5 - Pat Thurston Show / Live in studio for KGO-AM radio. KGO can be heard throughout the Western United States east to the Rocky Mountains, and in Northern Mexico, Western Canada, and Alaska. Aug 8 - Warren in the Morning, with host Warren Lawrence, on WKNY-AM. Listen live at 9:45 am ET on 1490 AM in the Kingston, NY area and listen live online here. Aug 9 - Frankie Boyer Show airs on the Lifestyle/Business Network along with several different markets across the country. Interview airs live at 8 am PT, find full listening details here. Aug 9 - Dori Monson Show on KIRO Radio. Interview airs live at 10 am PT on 97.3 FM (in the greater Seattle area), and or listen live online, here. Aug 15 - Happy and Healthy at Any Age with host Robin Pastore. Listen live on WGCH (AM 1490) in the greater Connecticut and Tri-state area, or streamed online here. Beyond the Game taped to air on Cablevision 76, Fios 45 in White Plains, Scarsdale, Rye, Ryr Brook NY and online at www.wpcommunitymedia.org. Aug 18 - Good Morning Washington on WJLA-TV, the local ABC affiliate in Washington, DC. Watch on channel 7 in the Washington, DC area in the 9 am hour. Aug 21 - Community Watch & Comment on WPFW (89.3 FM in the Washington, DC area). Tune in live for their interview with Gloria Minott at 11:40 am ET or listen live online here. Aug 4 - The Booksmith in San Francisco’s The Bindery (1727 Haight St., San Francisco, CA). Discussion at 7:30 pm followed by book signing. Aug. 5 - Books Inc. in San Francisco (601 Van Ness, San Francisco, CA 94102). Discussion at 4pm followed by book signing. 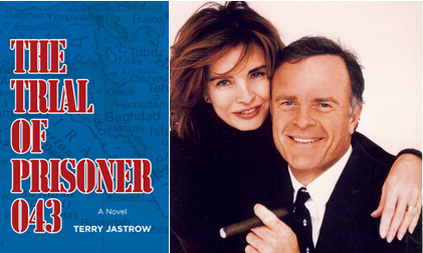 Aug. 6 - Book Passage in Corte Madera ( 51 Tamal Vista Blvd., Corte Madera, CA 94925). Discusson at 4 pm followed by book signing. Aug 8 - Speaking at 7 pm at the University Book Store in Seattle (4326 University Way NE, Seattle, WA 98105). Event information is available on The Stranger‘s website. Aug 9 - Third Place Books in Lake Forest Park, WA (17171 Bothel Way NE, Lake Forest Park, WA 98155). Discussion at 7 pm followed by book signing. Aug 12 - Vroman’s Bookstore in Pasadena (695 E. Colorado Blvd., Pasadena, CA 91101). Discussion at 3 pm followed by book signing. Aug 14 - Strand in New York City (828 Broadway, New York, NY 10003). Discussion at 7 pm followed by book signing. Aug 16 - Barnes & Noble (150 E. 86th St., New York, NY). Discussion at 7 pm followed by book signing. Aug 19 - Barnes & Noble in McLean, VA (7851 L. Tysons Corner Center, McLean, VA 22102). Discussion at 2 pm followed by book signing. Aug 21 - Georgetown University Barnes & Noble (3800 Reservoir Road NW, Washington, DC 20057). Discussion at 5 pm followed by book signing. Aug 23 - Barnes & Noble at The Grove Mall (189 The Grove Dr., Los Angeles, CA 90036) at 7 pm. Following his talk, Terry will be available for a book signing.